Brooklyn, NY - The Health Department today announced that it has closed a child care program in Williamsburg for repeatedly failing to provide access to medical and attendance records in violation of an Order of the Health Commissioner in response to the current measles outbreak. That Order requires child care programs to exclude unvaccinated students and staff and to maintain medical and attendance records on site and provide the Department with immediate access. That Order requires child care programs to exclude unvaccinated students and staff and to maintain medical and attendance records on site and provide the Department with immediate access. 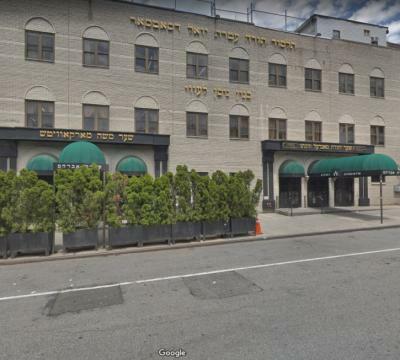 United Talmudical Academy (UTA), located at 75 Ross Street in Williamsburg, failed to provide access to those records, making it impossible for the Department to determine whether the child care program has been excluding children and staff as required. Health Department staff will monitor the school to ensure it is following the closure order and the center will not be allowed to reopen until its staff have submitted a corrective action plan approved by the Department. To date, 329 cases of measles have been confirmed since the beginning of the outbreak last October, with 44 additional cases added since last week’s emergency order from the Commissioner. Six of the additional 44 cases are newly diagnosed, while the other 38 are recently discovered, but had infection onset prior to the emergency declaration. The majority of cases are children under 18 years of age (284 cases), and 45 cases are adults. Most of these measles cases were unvaccinated or had only one dose of the vaccine. There have been no deaths associated with this outbreak, although there have been complications, including 25 hospitalizations and six admissions to the intensive care unit. Additionally, 23 yeshivas and day care programs have received Notice of Violations (NOVs) for not following the school exclusion order; this is the first program to be closed. •	Measles is transmitted by airborne particles, droplets, and direct contact with the respiratory secretions of an infected person. •	Symptoms usually appear 10 to 12 days after exposure to measles, and in some cases, symptoms can start as early as seven days or as late as 21 days following exposure. •	Early symptoms include fever, cough, runny nose, and red, watery eyes. •	Rash and fever are the typical symptoms of measles and usually occur four days following the early symptoms. The rash usually starts on the face and proceeds down the body. The rash lasts several days. •	Infected individuals are contagious from four days before rash onset through the fourth day after rash appearance. o	About 1 out of 1, 367 children < 5 years developed a late, fatal complication of measles, subacute sclerosing panencephalitis (SSPE), an average of 9.5 years after recovery from measles infection. •	Measles can be prevented through vaccinations. New Yorkers should call 311 to access a list of facilities that can provide MMR at low or no cost. •	There are large outbreaks of measles in Europe and Israel, as well as in countries in South America, Africa, and Asia. New Yorkers should make sure they have been vaccinated with MMR vaccine before traveling to Europe or Israel. Infants ages 6 to 11 months should also be vaccinated prior to international travel. •	New Yorkers who believe they were exposed to measles or who have symptoms of measles should contact their health care provider before seeking care to prevent exposure to other patients. •	For more information, New Yorkers can visit the Health Department’s Measles page.